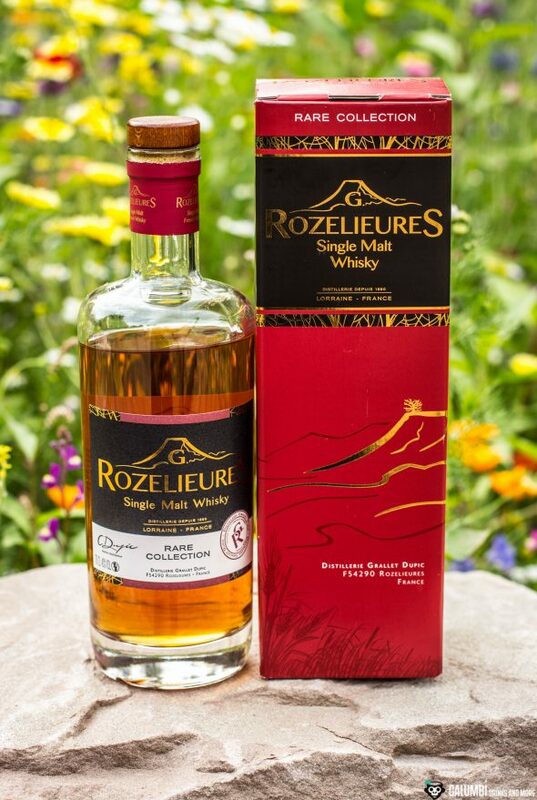 The G. Rozelieures Rare Collection also belongs to the category of lightly-peated Single Malt whiskys. While the smoke content of the Origine Collection was denoted to reach 6 ppm (phenol parts per million), today’s bottle comes with an amount twice as high (12 ppm – which is still low anyway). 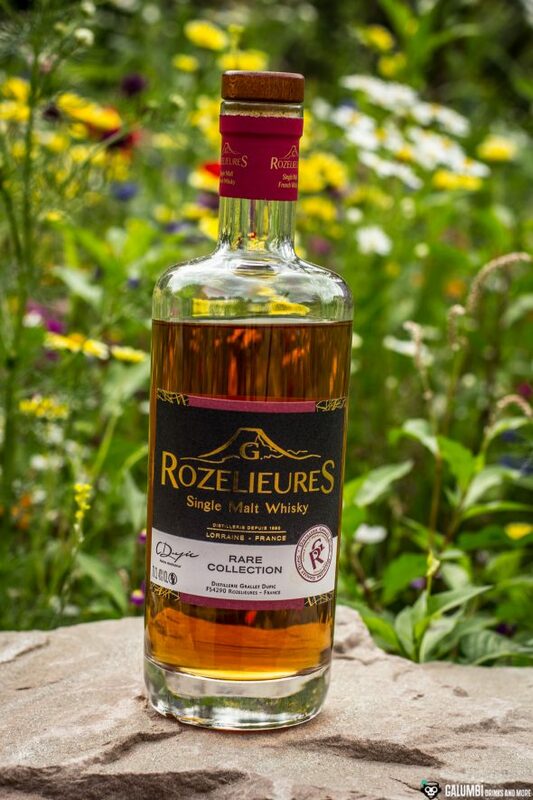 The G. Rozelieures Rare Collection – like all G. Rozelieures – was distilled twice on Charentaise stills (which are specific stills built according to French law regulations). Like the Origine Collection, the whiskys of the Rare Collection are allowed to mature in former sherry and cognac casks after the distillation process. However, with 8 years compared to 6 years they mature for 2 more years. And as a small extra there is also a short finish in Sauternes casks before the whisky is bottled at 40% ABV. Sauternes wines are French sweet wines, and I expect some additional dimension of fruit and complexity for this Single Malt due to these casks. This whisky is not colored either. So let us first have a look on the tasting notes. Aroma: A light but slightly more aromatic smoke appears on the nose. It reminds me a little bit of very mildly smoked bacon. Maple syrup, oak tones, some fruit (strawberry and also vinous notes), a touch of citrus and fine spiced honey complete round off the impression. Taste: On the palate there is sweet honey or more maple syrup with a little smoke. 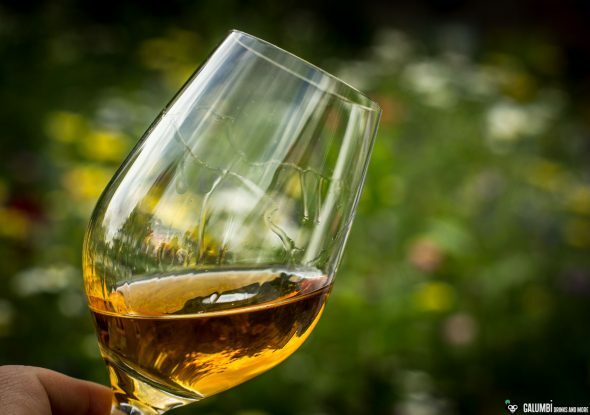 In addition, a typical sherry note with fruit aromas (especially dark fruits, and interestingly also a distinct strawberry stands out here – I almost feel reminiscent of port wine-cask-aged malts). In the background there is some oak and a delicate spice caramel. Finish: again light smoke, otherwise dry and aromatic; medium long. I had already expected it based on the formal data of the Rare Collection and the tasting has confirmed it: In comparison to the Origine Collection I like the Rare Collection even more. I simply like sherry cask-aged Single Malts and the fruity character of this malt (which I also ascribe to the sauternes-finish) is really nice. But also today a cocktail should not be missing! 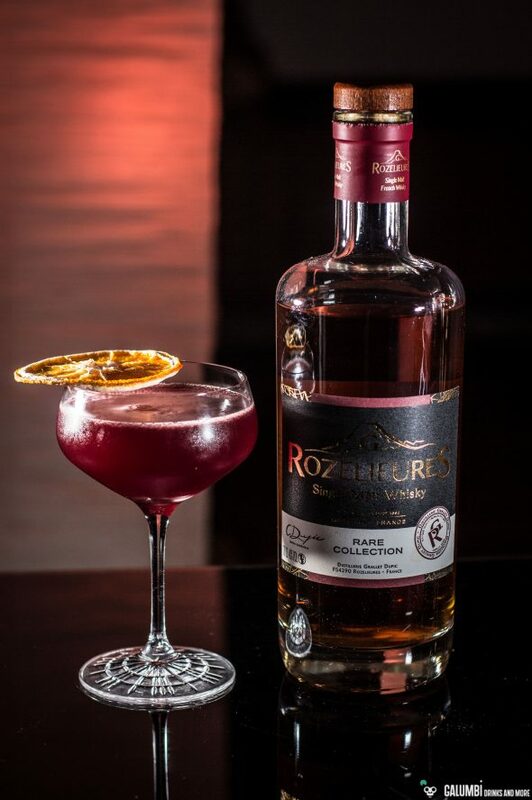 And I can imagine that – given the picture and a short look on the list of ingredients – some of you might think: Once again a reddish cocktail from the coupette glass? Once again strawberries? Sure, who is continuously reading my blog will have noticed the Warehouse C cocktail which I presented last week. 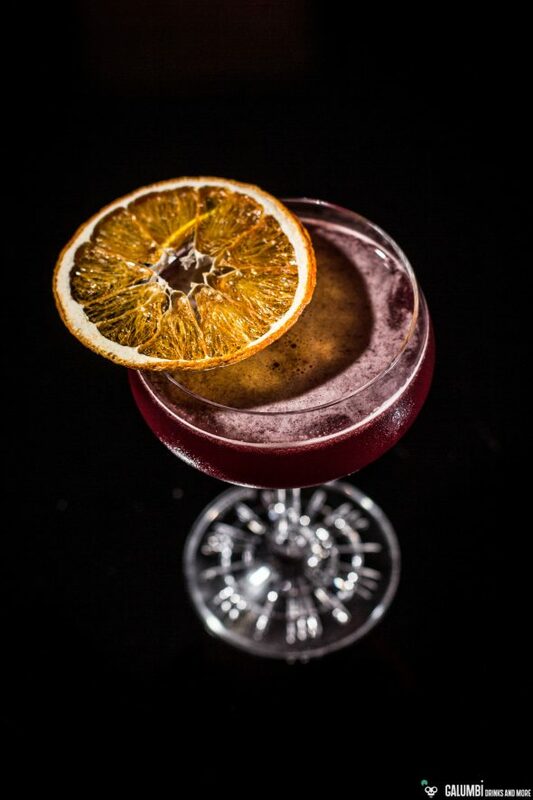 But despite the visual similarities and the similarity with the strawberries, today’s cocktail has little in common with the Warehouse C. Instead, we’re once again dealing with a variation of a famous classic, namely the Blood and Sand. 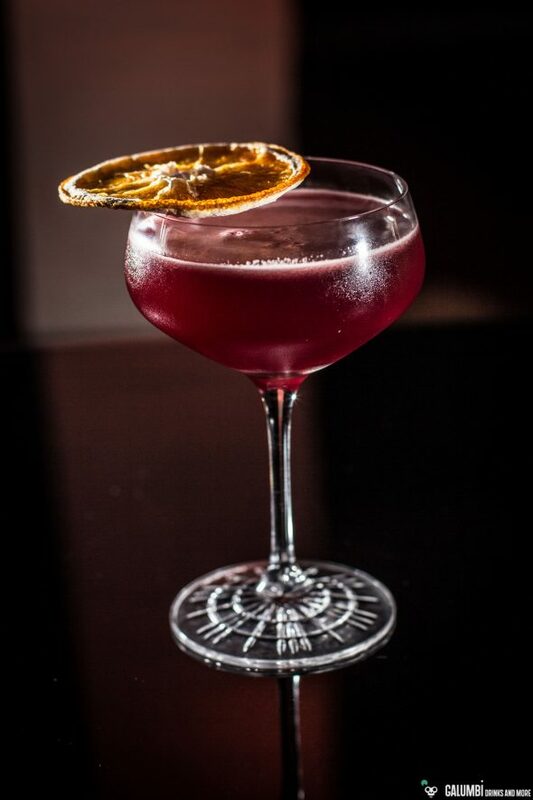 But while its famous ancestor comes with a very easy to remember recipe of equal proportions, I have changed the conditions in my “Bleeding Cask” cocktail to some extent. And also the ingredients differ from the original: Fresh strawberries replace the cherry liqueur, the orange juice is reduced to a minimum and accompanied by the beautiful Pierre Ferrand Dry Curaçao and instead of vermouth I opted for some Ruby Port (simply to capture my association during the tasting of the G. Rozelieures Rare Collection). 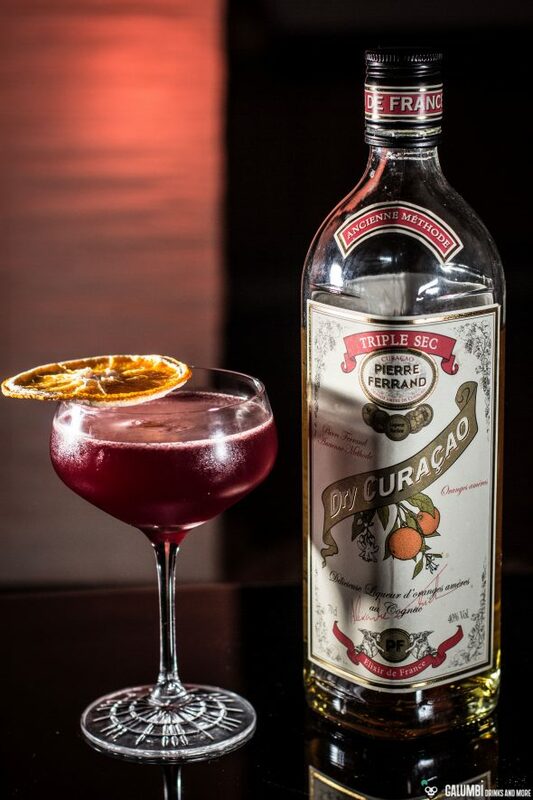 The result is a truly stunning aromatic cocktail. A fine smoke, strawberry sweetness, complex orange and whisky – that all is blended to a harmonious concoction that honors its big paragon. 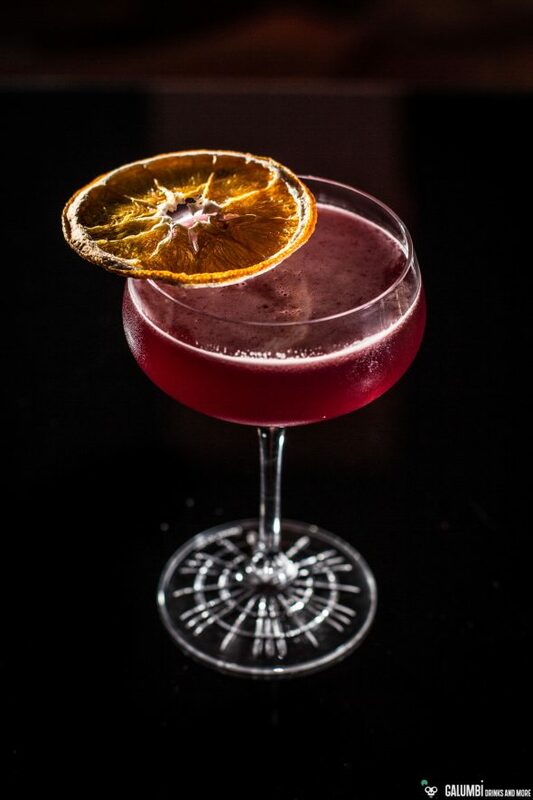 I am very satisfied that the effect of skillfully combining a seemingly adventurous list of ingredients to a delicious (like it happens with the Blood and Sand) cocktail also works in my Bleeding Cask. Preparation: Smash the strawberries with your muddler in the shaker. Then add the remaining ingredients and shake vigorously on ice. Double-strain into your pre-chilled glass. Buying sources: At specialized retailers or online. 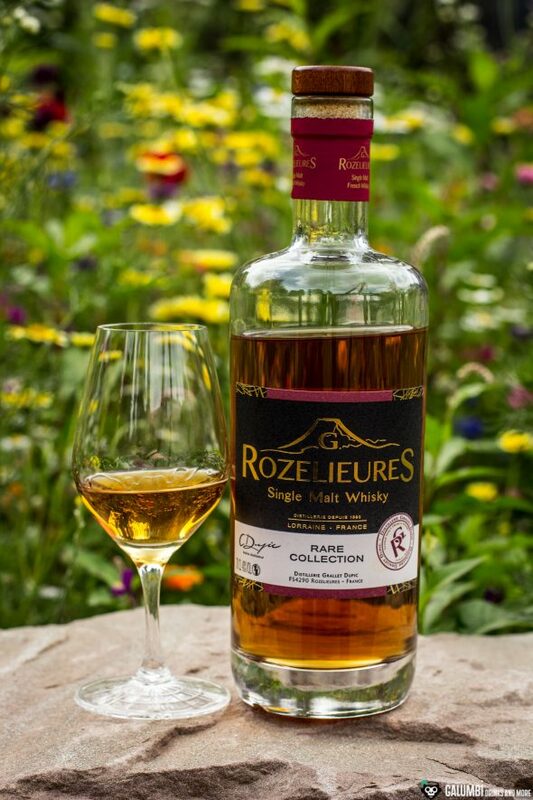 The price for a bottle of G. Rozelieures Rare Collection is about 45 euros.